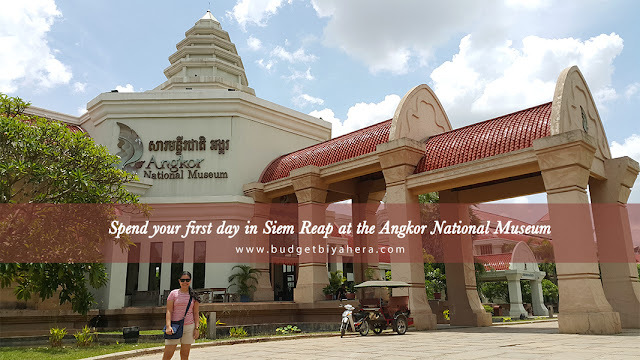 It would be advantageous for you to visit the Angkor National Museum before seeing Siem Reap's temples and ruins. So try to visit all of the galleries, as this will help you identify which structure is which, and what specific symbols represent each one. Through its chronologically sequenced exhibition halls, you'll also be introduced to the ancient Khmer Empire, and be acquainted with the past civilization depicted through Angkorian-era artifacts and multi-media presentations. NOTE: When you visit the museum, make sure that you start on the second floor. After your ticket-check, head to the Briefing Hall where an audio-visual presentation awaits you. The AVP will show you what's in store for you in the galleries. The exhibition halls are connected, so you'll easily find the next one. 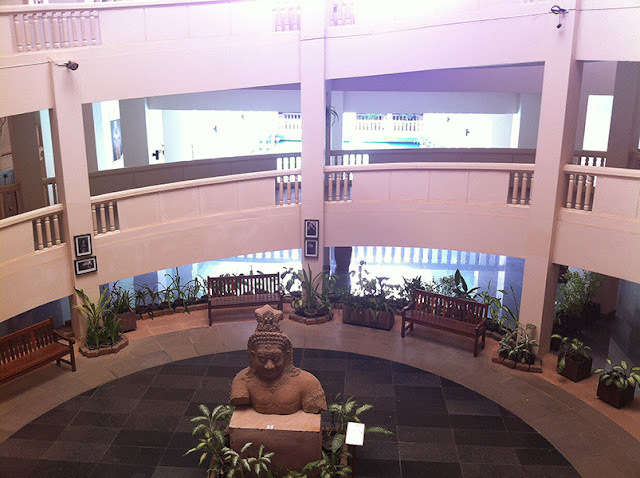 You'll find evident in the second gallery (the Gallery of Cambodian Buddhism Reflections) the Khmer people's spiritual connection to Buddhism. Here, you will also see a display of around 1,000 Buddha images in different forms and makes. You can even follow Buddha's stories by looking further into the many postures and gestures represented by the statues. History Buffs will find Gallery A as an exceptional place in the museum. It exhibits pieces of Khmer Civilization that will introduce you to stories about the ancient kingdoms (from the pre-Angkorian, Angkorian, and post-Angkorian period). Out of all the exhibits, Gallery B's Religion and Beliefs was my favorite. It displayed the fascinating folktales and mythologies that helped shape and motivate the Angkor civilization throughout the ages. Out of all the folktales, I was drawn more with Ganesh - the God with an elephant head and a human body. Make sure to read about his brutal yet interesting creation story when you visit the museum. Did you know that the Khmer Empire is one of the world’s greatest civilizations on earth? 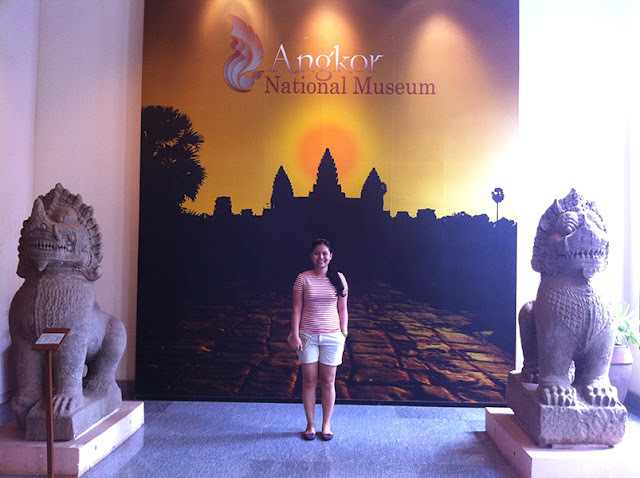 We only learned about it during our visit to Gallery C's The Great Khmer Kings. It was surreal being surrounded by precious artifacts while learning about four distinguished kings who were honored as the Great Inventors - the same great leaders who made the kingdom flourish. We ended our tour on the second floor by visiting the gallery of Batik paintings. Here, we learned about the process of producing a Batik creation on fabric, which is composed of only six simple steps. Siem Reap's main temples in small-scale models and more! End your museum tour by visiting the last gallery on the first floor. Here, you will find Siem Reap's main temples depicted in small-scale models (Eg. Angkor Wat, Angkor Thom), as well as an impressive display of ancient Khmer costumes. TIP: The Angkor National Museum is open from 8:30 AM to 6 PM (from 1 April to 30 September) and 8:30 AM to 6:30 PM (from 1 October and 31 March). There is an entrance fee of US$ 12 for foreigners. NOTE: Make sure that you leave your bags at the Deposit Box Counter, especially your camera/s because taking pictures inside the museum is not allowed. Just bring a small purse or pouch where you can put your personal belongings.